Summer pool parties and trips to the beach encourage the tropical fashion trends year after year with all the amazing Hawaiian patterns available today. Now that the summer season is in full swing how do you pick the perfect ladies Hawaiian shirts for all your social events? 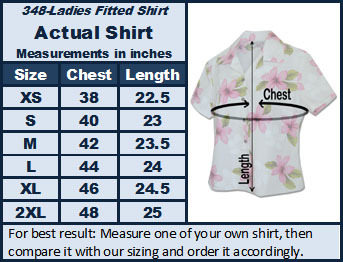 Here are a few tips to help pick the perfect summer ladies Hawaiian shirt to impress all your Hawaiian attire socialites. Keep in mind the climate where you live or are going on vacation to because even though summer is the hot time of year the evening is cool in many places including southern California. Although ladies Hawaiian shirts are designed to keep you cool in hot weather you may opt for a sleeved style over spaghetti straps if you get cold easily and will be out at night.